Read Our Full Interview below with peri Hoskins, author of 'East-The Novel' and 'Millennium'. ​Hello! Thank you for this opportunity to talk about my new release “East” and help my readers get to know me better. I’m a ‘tell it like it is’ writer. I don’t write politically correct books. I like to get to the essential truth of things. I don’t skirt around things like racism and misogyny, I deal with such things head on. I often however sugar coat with humour, and I think that helps in taking readers to a deeper level of understanding. If readers get to that deeper level of understanding while laughing; so much the better. I’m passionately interested in the human condition and helping other humans to better understand themselves and to grow and evolve as human beings. Breath. We all need to breathe. Consciousness is very important. Conscious breathing is so important. There also has to be evolution and meaning to life beyond the physical plane of dealing with the necessities of life: food, clothing, shelter etc. Has writing your newest book had an effect on you and how you now live your life? If so, in what way? Not really. The book has already generated some interest and anticipation so I talk with a few people now who I previously would not talk with; being people who want to promote the book. What was the best experience that you recall from your time in Australia? The 1994 journey I took travelling all around Australia. Did you have any close encounters with Australian wildlife that you would like to share with us? Yes, there is a close encounter with wild dolphins in ‘East’, and I share that in the book. I like to write at my beach house. It is quiet and peaceful there and there’s no Internet to distract me. No, I usually just start at the beginning and finish at the end. ‘East’ was a little different because I wrote the final three vignettes some time before joining them to the rest of the story, so finishing the book meant joining the start and middle of the book to the end. It would be nice to have some female company but I shouldn’t list that as an ‘item’. I have a third book in mind, but I’m yet to start work on it. It will be another in the Vince Osbourne series, in the sense Vince will again be main character and narrator. I wanted to have control over the process and make all the key decisions. I’m currently using expanded sales distribution. At times it would be nice if someone else were taking care of the business side of being an author so I could just concentrate on the creative side. That is a real problem. I guess it is about getting good reviews and gradually developing a reputation for quality work. It is not something that happens overnight. I had them professionally designed, an artist did one and a graphic designer did the other. Yes, provided highly skilled people are used for editing, proofreading, and cover design etc. Thank you for taking the time out of your busy schedule to interview with us. We enjoyed our time with you and feel that we have come away with some valuable information from you to enlighten readers everywhere! ​Hi Peri, thank you for agreeing to this interview. Tell us a little about yourself and your background? Millennium is a beautiful read, quite lyrical, colourful and descriptive. Did you have to work on style or did the language seem to come naturally? The manuscript went through numerous re-writes. That said, the short sentences and short words were there at the beginning and they were still there at the end. The language came naturally, but it needed honing and editing, so quite a lot of work went into it. Millennium is a novella. What does that mean and why have you chosen to use this form? What is meant by the term creative non-fiction and how does it apply toMillennium? The narrator, Vince, seems quick to judge people from their expressions. Is this the barrister in the author? Yes, quite possibly. In addition, the characters encountered in Millennium are mostly all met in a fleeting, holiday context, and not seen again. First impressions have to count in such brief, fleeting encounters. Discuss the origins and use of the inset quotes you have chosen. They seem to have a portent larger than the story. In School, were you good at English? Yes, I won the school prizes for English, History and Geography in my final year of High School. I therefore decided to do a BA and the law degree was an after thought, a way to make money. 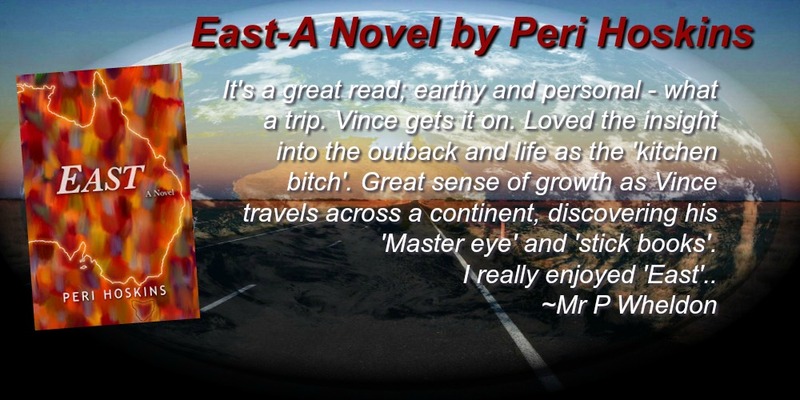 Im working on a full length autobiographical novel ‘East’ based on the five months I spent travelling around Australia in 1994. It is a prequel to Millennium and written in a similar style. Vince is again the narrator. East, is however lighter than Millennium and it has a different tempo, a different beat. I’ve released small parts of it to give people a taste and people really like it. It is in some ways an Australian ‘On the Road’ set in 1994. In a full length novel I have the opportunity to develop characters and round them out so readers looking for a bigger, meatier version of Millennium should be happy. I feel compelled to write. Writing gives meaning to my life. I have to fit writing in around my barrister’s practice. When I have a trial on not much creative writing gets done. I generally write in the evenings and at weekends. It is difficult to write to a rigid structure because if I’m flat out doing legal work the structure goes out the window. That said, I’ve structured my legal practice with a view to allowing time to write, and that is working reasonably well. My work is slice of life so there is a natural chronology to follow. Sometimes however there is a need to restructure or conflate events to make the story flow. Simply by living my life and being born with certain sensitivities and a certain empathy for human beings and a desire to better know the human condition. Just write anything at all, complete rubbish if necessary, then edit the rubbish and keep editing it and suddenly the material is less rubbishy and before you know it you are through the block and writing again. I like Truman Capote, Jack Kerouac, Charles Bukowski, Michael Ondaatje and Jeffrey Eugenides among others. I like honesty, authors who tell it like it is. I see beauty in sparse, uncluttered writing. ‘Less is more’ definitely applies to writing. Nothing at present, too busy with legal work and creative writing. I have editors and proof readers do that for me. My current editor is based in Tasmania and was referred to me by a friend I met on Twitter. 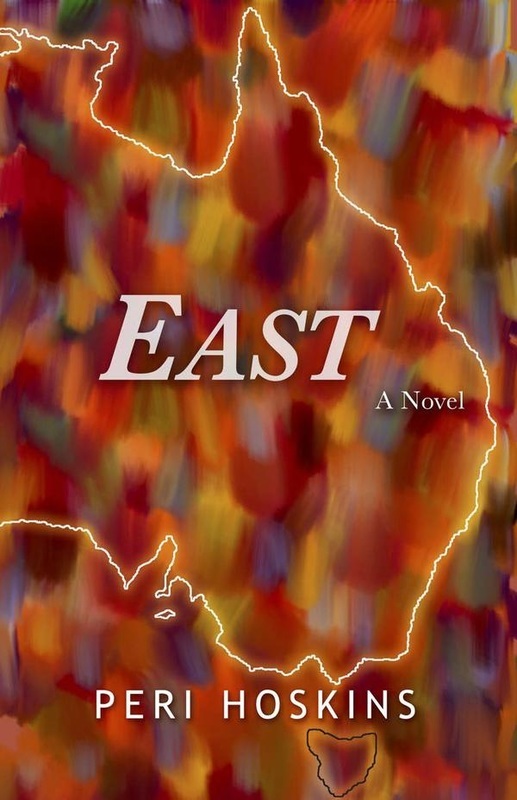 I wanted an Australian editor because ‘East’ is all about Australia. For Millennium, I had two editors, both women. The first editor, Leslie Rubinkowski, from the Creative Nonfiction School in Pittsburg, USA, carried out two structural edits. Leslie was allocated to me as a result of me signing on for the Creative Nonfiction mentoring program. The other editor was Jenny Argante from Tauranga. I met Jenny via the writers’ collective Oceanbooks. Martin Taylor, an Auckland – based digital publications consultant assisted with the cover of Millennium. I told him the concept and his daughter Anita Taylor came up with the design. I was happy with that and it wasn’t particularly expensive. I am yet to prepare the cover for East. Yes, but readers need to know about the book first, that it exists and has been well reviewed by a credible objective reviewer. The biggest problem Indie authors face is getting noticed in the first place. Millennium was self-published. I’ve not yet committed ‘East’ to any publisher. It will probably also be self-published. As a self-published author you retain the rights and make more money off each book sold. The downside is you have to do all the marketing yourself and arrange the production of the book and that is time-consuming. I see advantages in having a traditional publisher provided that publisher really gets behind the author both locally and internationally. That is apparently hard to find, many publishers appear to offer it and yet many authors are disappointed with outcomes. I market via Amazon, Goodreads, the Book Depository and to Australasian bookstores via distributor Woodslane. I also market via Facebook and Twitter. First work hard on putting out a quality book. If the book is good, word of mouth will assist with sales. Other experienced authors say get a second book out and that will help as readers will then often buy both the first and second books. Submit the book to professional reviewers, ask friends to read and review the book and seek reviews via a Facebook group I have joined. I have learned that not everyone out there in the world will like my work. It is better to first qualify that the person reading the book with a view to reviewing it is interested in the subject matter of the book. Millennium for example tends to appeal to those who are interested in the mind, body and spirit genre. Those people are likely to enjoy reading the book and give it a positive review. Yes, the press release for Millennium did help get radio and magazine interviews. Getting on national radio and TV is difficult, and there is no guarantee your publicist will obtain such interviews. I did not do a Goodreads book launch and the Goodreads promotion I did do had mixed results. With future Goodreads promotions I will better qualify the readers to ensure they are in fact interested in the subject matter. Follow your heart and your dreams. Make them a priority early in life. No, I think that covers it – All good questions thanks. In terms of social media I’m most active on Facebook. Readers may friend and message me there. Millennium may be downloaded as an ebook from the Amazon link below.